Crockpots unite! It’s that season where we clean off those counters, wash off the dust, and make the house smell better than a Scentsy candle! 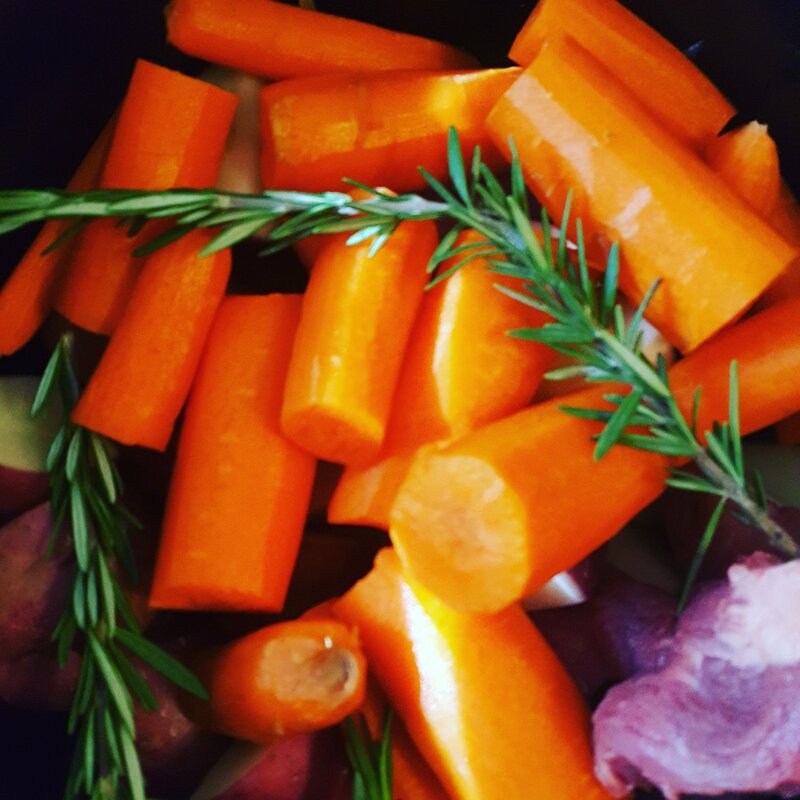 I like the idea of crockpot cooking – low, slow, letting everything mingle… The finished product always is a beautiful marriage of flavors. Honestly, I am a rookie to the crockpot game – this means that I forgot that it’s slow cooking. Like this roast, after awhile I was concerned for its well being. I love a good chuck tender roast paired with the roasted goodness that comes with it. I love following the traditional way of cooking roast; in the oven for hours while the fibers break down. I gotta say, I was made a believer of the crock pot with this pot roast. As the meat cooks and the fat renders out its forms a lovely broth that can double as a light gravy. This was another fall staple around our dinner table growing up. My mom would plop that lovely roast in the oven and let it go. I remember coming home from school and waiting for dinner. Sounds like I’m a fatty, I know. My parents liked to eat at the same time every day, so at certain point I’d start to wonder. Then, the rich warm smell would start wafting throughout the house. Granted, like most kids, I just wanted to not be home. No matter how much I fought to not be home, I’m thankful for that roast, and that family time. Pot roast is slow and imperfect. This is why it’s the perfect meal for anyone. Life gets moving by too fast, we have reunions and birthdays to remind us that it is. So I challenge you, make my roast. Turn off your phones, break bread, and eat it with those you love most. Wait 6 to 8 hours on low, 4 to 6 on high. Thank you! Its simple, but less is more in this case.